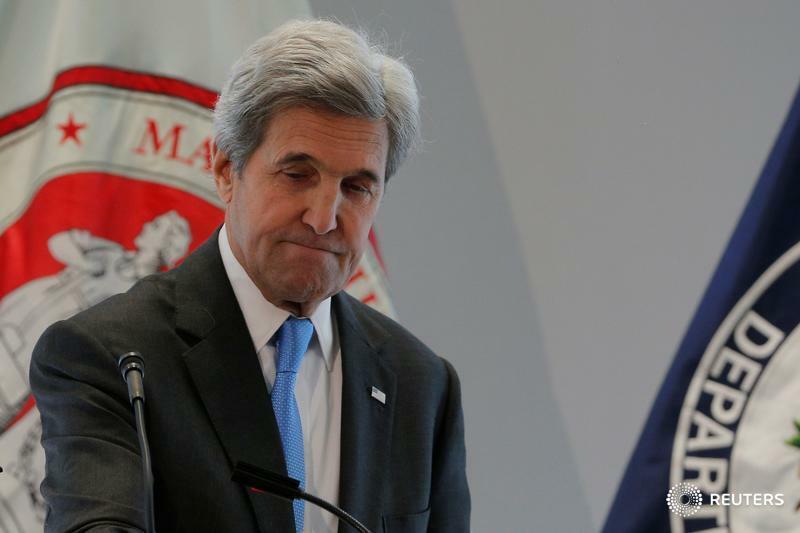 WASHINGTON (Reuters) — U.S. Secretary of State John Kerry on Monday apologized to hundreds of State Department employees who were fired after the start of the Cold War for being gay in what is known as the "lavender scare." "In the past — as far back as the 1940s, but continuing for decades — the Department of State was among many public and private employers that discriminated against employees and job applicants on the basis of perceived sexual orientation, forcing some employees to resign or refusing to hire certain applicants in the first place," Kerry said in a statement. "These actions were wrong then, just as they would be wrong today." He added: "On behalf of the Department, I apologize to those who were impacted by the practices of the past and reaffirm the Department's steadfast commitment to diversity and inclusion for all our employees, including members of the LGBTI community." U.S. Senator Ben Cardin, the leading Democrat on the Senate Foreign Relations Committee from Maryland, wrote Kerry in November referring to the time as a "deep stain on our national history and that of the State Department." Cardin told Kerry he intended to "remedy this injustice" by introducing legislation to acknowledge the "lavender scare" years and offer an apology on behalf of Congress.